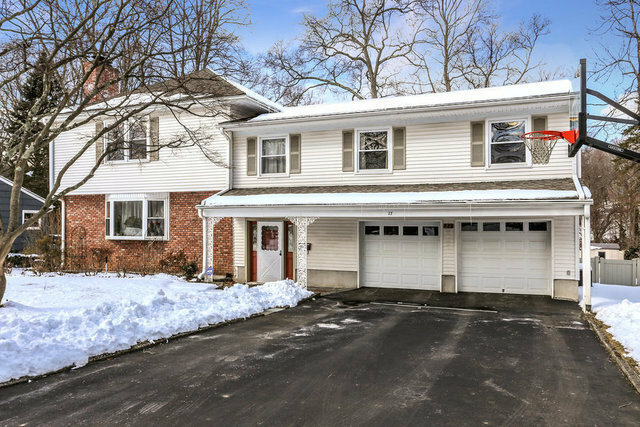 Stunning three level Split, close to public transportation, parks, and recreation. Sunny living room with open flow to dining and family rooms. Eat-in chef's kitchen is adjacent to both the family room and breakfast area. Several bedrooms on second floor with a hall bathroom; one bedroom has an en-suite bathroom. Master bedroom with en-suite master bathroom and two walk-in closets, one of which is being used as an office. Office can be reverted back to a closet easily. Lower level has an office area and access out to a garage. Walk-out lower level with two expansively open rooms that can separately be used as a gym and recreation room. Full fenced level backyard with barbeque area. Don't miss this great home!